Will this work for stock sti injectors? 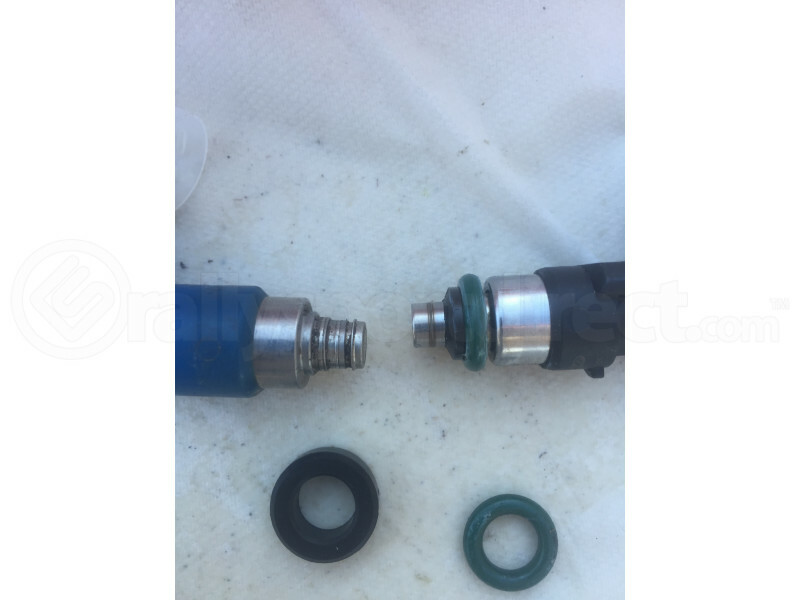 A: If you have the Top Feed style fuel injectors, then this kit would work. What are the top smaller o-rings? A: Those should be the actual fuel injector connection to the piston cylinders. A: These are meant for an OEM replacement injector and we cannot confirm on the Bosch part number you mentioned. Will these work on STi pink injectors? If not, what year/model should I be looking under? A: These O rings will work with STI pink injectors. would this work on stock 02 wrx injectors by chance ? A: Yes, this O ring kit is a direct replacement for Subaru OEM and Deatschwerks top feed injectors. Could I use this kit with Injector Dynamics 1000CC injectors? A: Injector Dynamics has not confirmed fitment with these O rings, therefore we are unable to guarantee fitment. Does it fit with OEM '08-'10 injectors? A: Yes, these will fit the OEM injectors for a 2008-2010 WRX/STi.